Even at a young age, Freddie Highmore has proven to be one of the most versatile actors on television and film. He starred in several adaptations of children’s novels, including THE SPIDERWICK CHRONICLES and CHARLIE AND THE CHOCOLATE FACTORY, as an awkward, lanky child. Then he played a role that hardly anyone could have pulled off: a young Norman Bates in A&E’s BATES MOTEL, a prequel series to Alfred Hitchcock’s classic slasher PSYCHO. With BATES MOTEL, Highmore brought humanity and vulnerability to one of the most well-known serial killers on screen, and won acclaim and popularity for his nuanced performance. THE GOOD DOCTOR also gives us Highmore at the height of his acting capabilities, but the new series brings little else to the table. THE GOOD DOCTOR does have promise as a thoughtful look on autism and the challenges people on the spectrum face. Unfortunately, when medical dramas are a dime a dozen on networks, the show is merely competent, a moniker it cannot afford when dealing with such a touchy subject. Granted, there are one or two unexpected moments in the first episode that promise to make the show better than just okay. As with most network shows coming out today, THE GOOD DOCTOR suffers from a hackneyed plot, stale characters, and hardly any originality. Dr. Shaun Murphy (Highmore) travels from Wyoming to San Jose to become a surgical resident at San Jose St. Bonaventure Hospital. 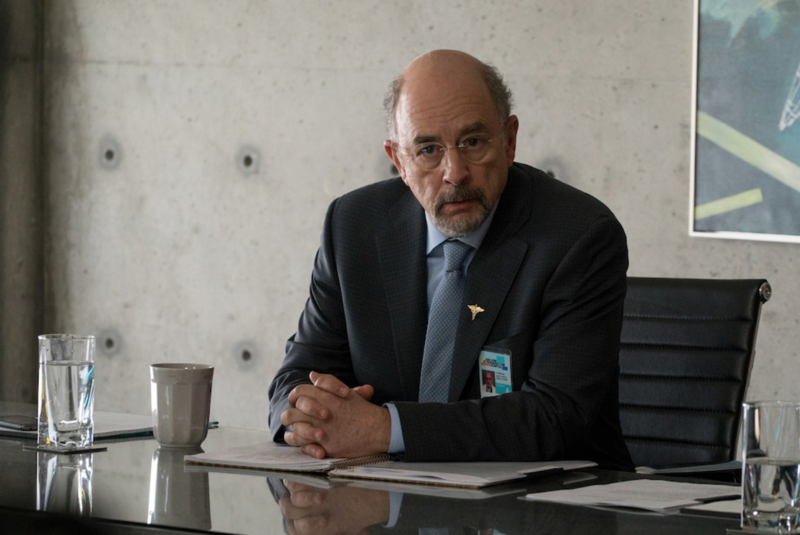 The hospital president Aaron Glassman (THE WEST WING’s Richard Schiff), who has known Murphy from when he was a teenager, hired him because of his photographic memory. However, many of the staff at the hospital doubt his ability to be an adequate doctor. Highmore is excellent as Dr. Murphy, capturing what it is like to be both autistic and a medical genius. Despite Highmore’s acting ability, his character lacks a creative backstory worthy of Highmore’s performance. Flashbacks through Murphy’s life shows us that he suffered through a childhood tragedy, but there is nothing new in a doctor wanting to save lives because of one he couldn’t save beforehand. Murphy’s backstory is just one example that demonstrates how formulaic—and therefore weak—THE GOOD DOCTOR really is. Out of the rest of the cast, only Schiff as Aaron Glassman manages to give a more than passable performance. Glassman is passionate and driven to give Murphy a chance, even though some of his reasons behind hiring Murphy are unknown and will hopefully be explored as the series progresses. The other members of the main cast are sufficient enough, but their characters prove to be even weaker than Murphy and Glassman due to very poor writing. The head of surgery is conniving and tries to undermine Glassman purely because he wants his position. Exposition is delivered clunkily and there are relationships between supporting characters that make THE GOOD DOCTOR appear more as a soap opera than a thought-provoking drama. THE GOOD DOCTOR showcases the weaknesses of network television today. What starts out as an exciting, cutting-edge premise inevitably became a generic, almost boring drama. 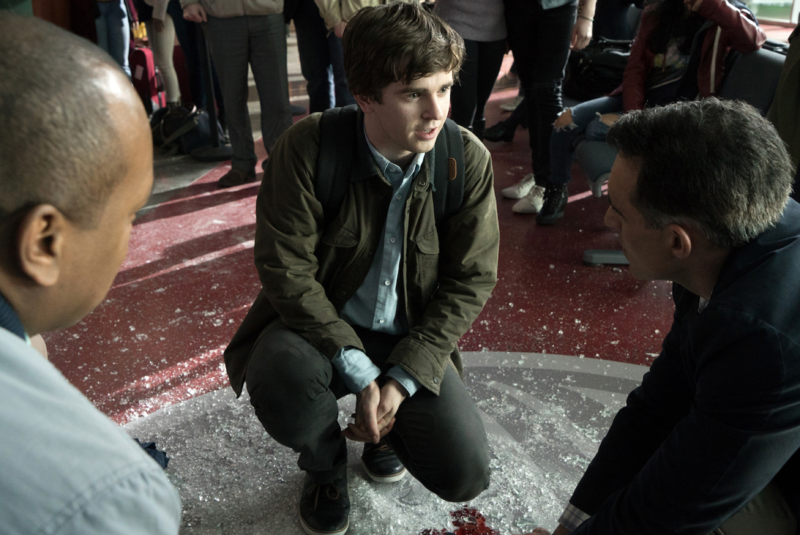 Highmore and Schiff certainly try their best, but THE GOOD DOCTOR refuses to rise above previous medical dramas like HOUSE and GREY’S ANATOMY. Despite its flaws, I hesitate to write off a series that so clearly has its heart in the right place with its depiction of individuals with autism and knockout performances from its lead. THE GOOD DOCTOR has the potential to improve with deeper attention to its characters and plot. Regardless, a good show should have a strong first episode, and based on its pilot alone, THE GOOD DOCTOR fails to stand out amongst the wide range of television shows out today and is conclusively disappointing and forgettable. Ethan is a contributor for Merry-Go-Round and a professional cinephile. His aspirations include becoming a film and television critic and figuring out how to cook food other than ramen.